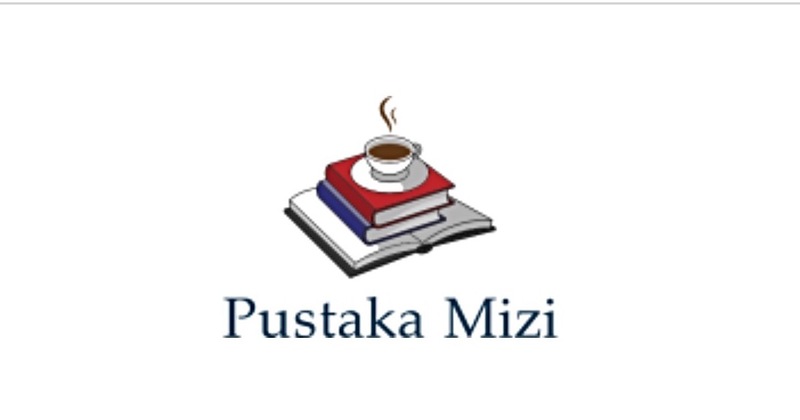 PUSTAKA MIZI DOES NOT SELL, SHARE OR TRADE CUSTOMERS PERSONAL INFORMATION COLLECTED ONLINE WITH THIRD PARTIES. PERSONAL INFORMATION COLLECTED ONLINE WILL ONLY BE DISCLOSED WITHIN US FOR INTERNAL USE ONLY. FURTHER, WE WILL USE THE INFORMATION YOU PROVIDE TO ADMINISTER YOUR ACCOUNT WITH US; VERIFY AND CARRY OUT FINANCIAL TRANSACTIONS IN RELATION TO PAYMENTS YOU MAKE ONLINE; AUDIT THE DOWNLOADING OF DATA FROM OUR WEBSITE; IMPROVE THE LAYOUT AND/OR CONTENT OF THE PAGES OF OUR WEBSITE AND CUSTOMISE THEM FOR USERS; IDENTIFY VISITORS ON OUR WEBSITE; CARRY OUT RESEARCH ON OUR USERS&apos; DEMOGRAPHICS; SEND YOU INFORMATION WE THINK YOU MAY FIND USEFUL OR WHICH YOU HAVE REQUESTED FROM US, INCLUDING INFORMATION ABOUT OUR PRODUCTS AND SERVICES, PROVIDED YOU HAVE INDICATED THAT YOU HAVE NOT OBJECTED TO BEING CONTACTED FOR THESE PURPOSES. WE MAY PASS YOUR NAME AND ADDRESS ON TO A THIRD PARTY IN ORDER TO MAKE DELIVERY OF THE PRODUCT TO YOU (FOR EXAMPLE TO OUR COURIER OR SUPPLIER). WHEN YOU REGISTER AS A USER ON STORMREADERS WEBSITE, WE WILL ALSO USE YOUR PERSONAL INFORMATION TO SEND YOU MARKETING AND/OR PROMOTIONAL MATERIALS FROM TIME TO TIME. IF RELEVANT, WE WILL ALLOW OUR SISTER COMPANIES TO SEND RELEVANT MARKETING MATERIALS TO YOU. YOU CAN UNSUBSCRIBE FROM MARKETING INFORMATION AT ANY TIME BY USING THE UNSUBSCRIBE FUNCTION WITHIN THE ELECTRONIC MARKETING MATERIAL. PAYMENTS THAT YOU MAKE THROUGH THE SITE WILL BE PROCESSED BY US. YOU MUST ONLY SUBMIT TO US OR OUR AGENT OR THE SITE INFORMATION WHICH IS ACCURATE AND NOT MISLEADING AND YOU MUST KEEP IT UP TO DATE AND INFORM US OF CHANGES. WE WILL NOT SHARE YOUR INFORMATION WITH ANY OTHER ORGANISATIONS OTHER THAN RELATED COMPANIES, SISTER COMPANIES AND THOSE THIRD PARTIES DIRECTLY RELATED TO THE DELIVERY OF THE PRODUCTS YOU HAVE PURCHASED FROM OUR WEBSITE. IN EXCEPTIONAL CIRCUMSTANCES PUSTAKA MIZI MAY BE REQUIRED TO DISCLOSE PERSONAL INFORMATION, SUCH AS WHEN THERE ARE GROUNDS TO BELIEVE THAT THE DISCLOSURE IS NECESSARY TO PREVENT A THREAT TO LIFE OR HEALTH, OR FOR LAW ENFORCEMENT PURPOSES. THE GOOD WORDS IS COMMITTED TO COMPLYING WITH THE PRIVACY ACT AND THE NATIONAL PRIVACY PRINCIPLES. IF YOU BELIEVE THAT YOUR PRIVACY HAS BEEN BREACHED BY THE GOOD WORDS PLEASE CONTACT US AND WE WILL RESOLVE THE ISSUE. PUSTAKA MIZI RESERVES THE RIGHT TO MODIFY AND CHANGE THE PRIVACY STATEMENT AT ANY TIME. ANY CHANGES TO THIS POLICY WILL BE PUBLISHED ON OUR SITE. IF YOU ARE NOT SATISFIED WITH THE WAY IN WHICH WE HANDLE YOUR ENQUIRY OR COMPLAINT, PLEASE DON&apos;T HESITATE TO CONTACT US.